The British Ben Clarke has won the The Classic, the Swiss Footgolf Trophy, part of the grand slam series last weekend. He was third after the first day and won the tournament with a four-kick lead at the end. Van Eekeres was the king of seniors and Laura Rolli the queen of the ladies. 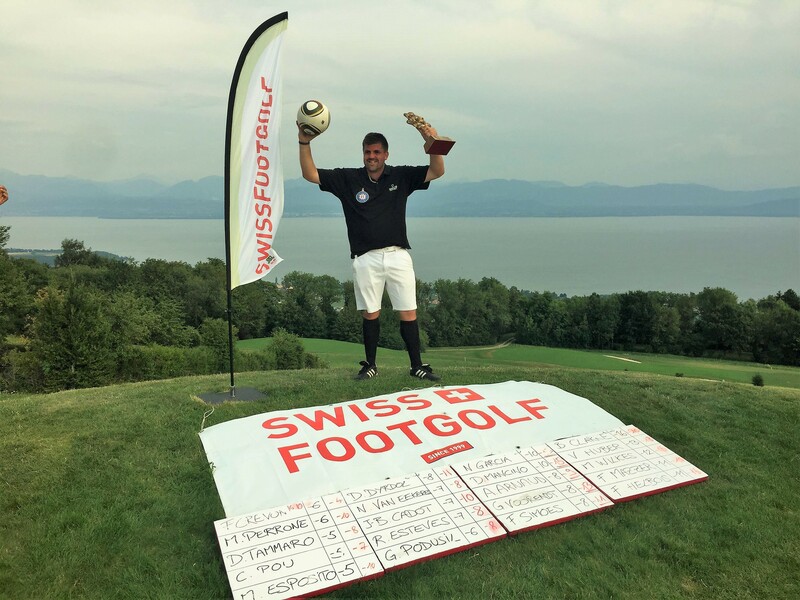 The FIFG 500 and European Footgolf Grand Slam event, the Swiss Footgolf Trophy called The Classic was organized by the Swiss federation last weekend. The two-day long tournament in the Golfparc Signal de Bougy in the Alps was won by Ben Clarke second time in a row lifting the golden tree again. After the first day Fabien Helbois (FRA) and Vincent Huber (SUI) were the leaders with -10 followed by Clarke (-9). After the Sunday’s results Clarke became a two-time winner of the Swiss Footgolf Trophy (winner of the last year also). Michael Wilkes was the second four shots behind him. For the third place there was a playoff among three players, where Fabio Mazzer (ITA) was the best beating Helbois and David Mancino (SUI). Van Eekeres (NED) won the senior category, while Laura Rolli was the best among the ladies. No Replies to "Classic performance from Clarke"